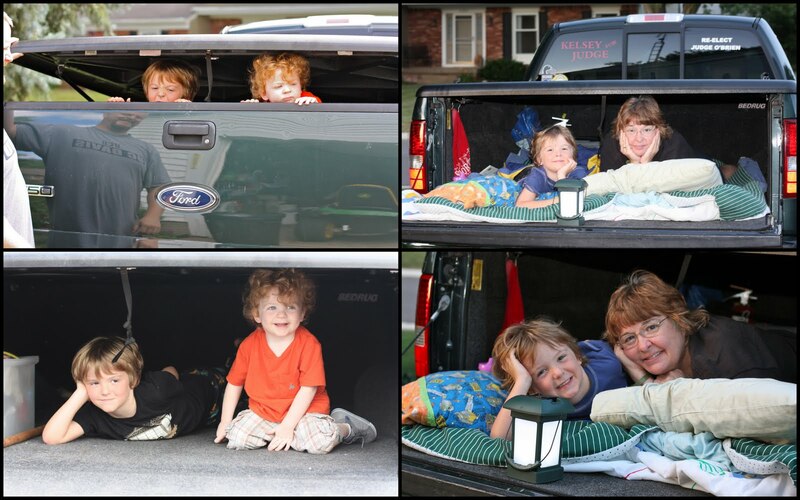 Love u more than anything...: A day of rest... sort of. Deacon, somehow, found out that my parents owned a trombone (the same trombone that I played in high school and the same trombome my mom played as well). 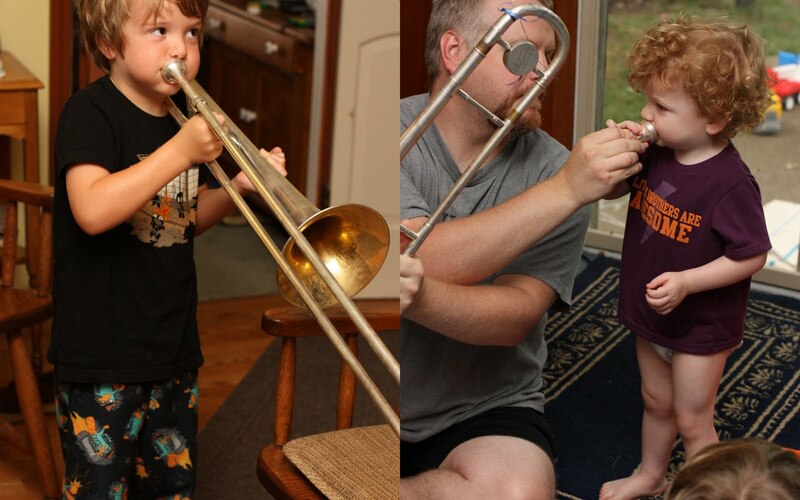 The boys had SO much fun marching around the house... needless to say we "lost" the trombone during naptime. Dang! 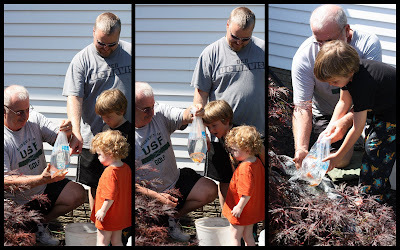 My dad took Deacon to buy some fish for the pond... Deacon was THRILLED to do this- thankfully he did not notice that the fish died a week later. 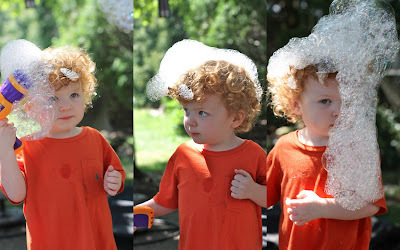 Zac is loving this bubble foam blower thing... mommy is not loving what it's doing to his hair (the soap is forming a really gross film in his hair for some reason). But oh well, who do we need to impress? Me and Milo-Dog, relaxing on the blow up mattress in the garage.